Create with Gwen: DSP Sale and WCMD! October 1st is World Card Making Day! As we celebrate by creating all day, Stampin' Up! 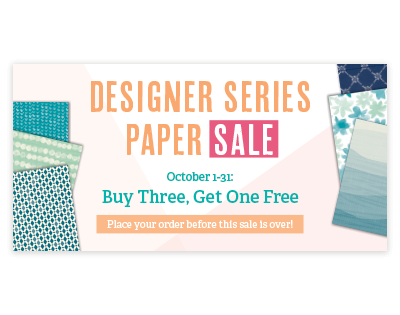 is celebrating all month with a Designer Series Paper Promo including 8 DSP styles! 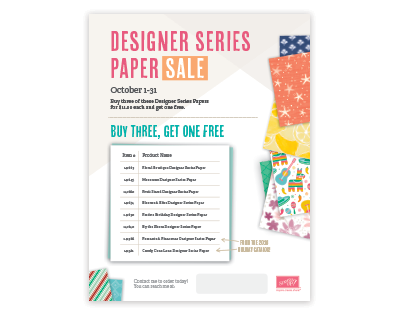 Oct 1 to 31, buy three packages of Designer Series Paper and get one FREE! Celebrate the 10th World Card Making Day Holiday by joining us in a card making marathon (come and go as you please) of creating and stamping together on Saturday, October 1, 2016! • New to card making? Awesome! You’ll surprise yourself! 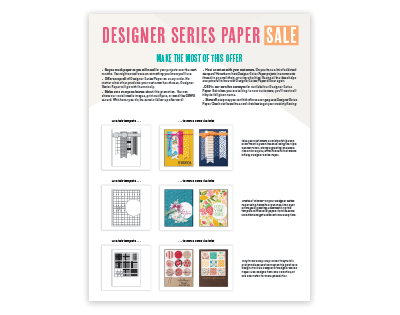 Check out this flyer for some great card template ideas!